The next 12 years will be crucial in fending off devastating climate change and its immediate impact and that on future generations. India, with its rainfall dependent agriculture, depleting groundwater, long and densely populated coastline, extreme heat zones, and flooding/drought situations – is especially vulnerable to climate impacts on many levels, affecting the water, energy, food, and health security of 1.3 billion Indians. Air Pollution is a global crisis now and India is among the most impacted geographies. In a number of recent reports on air pollution,including Greenpeace and Air Visual 2018 Global City Ranking Report on PM2.5 concentration, shows 22 out of 30 most polluted cities in the world are located in India. 99% of the South Asian cities are under the grip of high to severe air pollution conditions and over 70 lakh people die every year due to air pollution related health ailments across the world. 2018 Lancet report revealed that in 2017, air pollution accounted for 12.4 lakh deaths in India and around 77% of India’s population is exposed to outdoor air pollution levels above the National Ambient Air Quality Standards safe limit. Air pollution, apart from being one of the biggest modern world health concerns, is one of the biggest causes of climate change and global warming. India is the sixth most vulnerable country in the world, and reports suggest climate related economic losses have increased from $20 billion during 1998-2007 to $45 billion during 2008-2017. It is also reported that during FY 2012-2017 agriculture non-performing assets (NPAs) grew almost 2.5 times to reach INR 602 billion (Rs 60,200 crore), with one of the likely reasons being crop failure from extreme weather events. Scientists have an evidenced opinion that climate change is going to heavily impact the agriculture sector in India as majority of its land is unirrigated and the groundwater reserves are depleting at a very alarming rate. The erratic precipitation and temperature conditions are further shattering the agricultural prospect of the country leaving more than 60% of our population, our farmers at a risk of livelihood insecurity. Each of the components in our recommendation sketched out below are significant and challenging. However, in combination, they lay the building blocks of India’s energy transition, and agricultural & food security over the next 12 years to 2030 and will represent the most ambitious path towards sustainability that any country with comparable socio-economic challenges has undertaken. Implementing the components outlined in this note will benefit 1.3 billion Indians, the majority of them poor and exceedingly vulnerable. This calls for bold and visionary leadership. This concept note elaborates how the next government can not only generate widespread domestic support by tackling the air pollution crisis that is affecting millions of Indians, but also earn global accolades by furthering a comprehensive energy transition, setting the foundation for a vibrant green economy, all while leading the world in tackling the crisis of climate change. Water shortage and bad air quality are two of the biggest determinants in the quality of life for millions of Indians across most parts of the country. Action to tackle these issues will have broad public support across the political spectrum and among the masses. Coal power plants have negative impacts on water consumption and air pollution that affect millions of Indians, action to tackle these visible everyday problems should be immediate. By connecting action taken to restrict the negative impacts of coal power plants on quality of life, with the massive employment and income generation potential of renewable energy, the incoming government can demonstrate visionary leadership. By most accounts, insufficient progress has been made to reach India’s current 175GW/2022 Renewable Energy target. Even if this target were to be reached, India will remain overly reliant on coal as a source of electricity. Coal burning for electricity consumes significant water resources at a time when both surface and groundwater scarcity is increasing due to climate change and over-withdrawal. 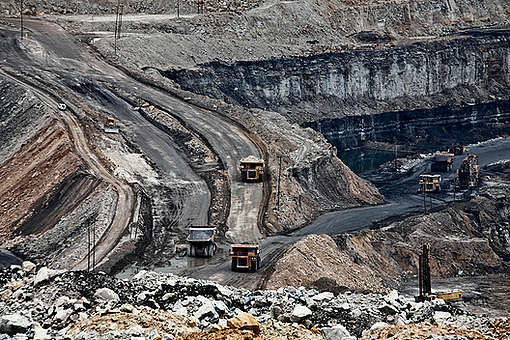 40% of India’s coal power plants are in areas of high water scarcity. Every summer, coal power plants are forced to shut down or run at reduced PLFs due to water shortages, and there is increasing conflict between agricultural/drinking water requirements and industrial use. Coal burning is also a major component of the hazardous air pollution problem facing virtually all cities in the country. 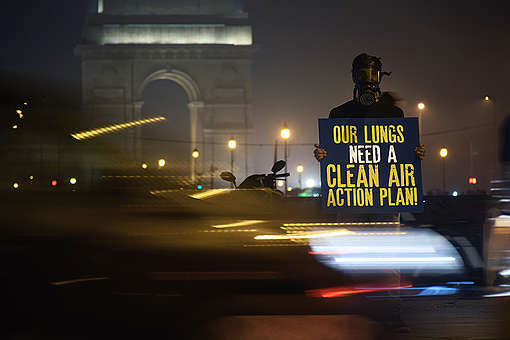 The Lancet Commission on Pollution and Health found that over 25% of the 10 million deaths in India due to non-communicable diseases were linked to pollution. In contrast, renewable energy technologies use much less water, do not generate air pollution and generate more employment along the value chain, in a more decentralized manner. Meeting the renewable energy target of 175GW by 2022 can generate up to 350,000 jobs, according to one study. The majority of these jobs will be in the solar rooftop segment, which is also showing the highest growth potential and can have a presence in every city, town, village and hamlet. Rooftop solar could add a huge 39,333 jobs per GW. By publicly announcing a planned ‘Coal Phase Out’ / Peak Coal Consumption target, and emphasizing the benefits for the public in terms of better air quality, less water consumption and less forest clearing to facilitate coal mining, this plan can generate mass appeal among key constituencies – farmers, forest dwellers and citizens affected by air pollution. This is especially important as it becomes clear that the commitments made by developed countries under the Paris Agreement are thus far insufficient to meet the 2 degree temperature rise goal, let alone the more ambitious 1.5 degree goal science says we should aim for. How can India speed up the process of decarbonisation of its electricity sector and economy? Due to insufficient attention paid to the sector, India is certain to miss the target of 40GW of rooftop solar by 2022. It is suggested to extend the definition of this target to include distributed solar (like solar pumps, feeder level solarisation, ground-mounted rural solar arrays, mini & micro grids, and replacing diesel generators in rural areas with solar backed up with battery storage). 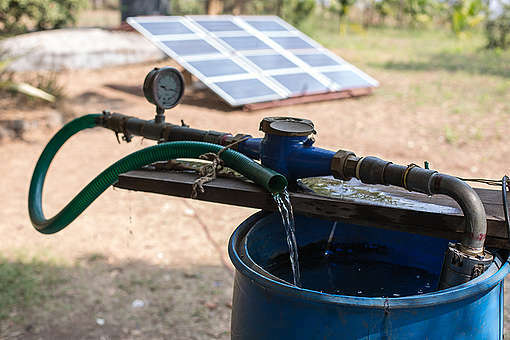 This proposal calls for setting up net-metered solar pump sets in farming communities with or without grid connection. This way, when the farmer does not want to use the power for irrigation, he injects it into the grid to earn revenue at the PPA rate. Pilots of this model have been tried and have been very successful. The time is ripe for the Central Government, in partnership with key state governments, to announce a massive programme of electrification of bus fleets. India has one of the largest bus fleets in the world. Electrification of this fleet will reduce oil import dependency and contribute to the initiatives for cleaner air. With Indian companies already active in the E-bus space, this will contribute significantly to Indian manufacturing and employment. By keeping the focus on public transport, the scheme will bring about mass benefit to the poor and middle class as opposed to private electric vehicles that can only be afforded by the affluent sections of society. The next step would be a comprehensive electric vehicle policy that lays out clear milestones and incentives and offers guidance to industry and planners alike on the road to the 2030 EV target. The strict enforcement of new emission standards for coal power plants on sulphur dioxide, nitrogen oxides and particulate matter is critical. Older power plants that are near or past their 25 year life span and cannot meet the new standards must be shut down, with their generation being replaced with non-polluting sources (solar, wind, hydro etc.). Newer coal plants must be retrofitted within the next 3 years as per Supreme Court directions to meet emission standards. To some extent, this action is already underway via MoEFCC and CEA. By accelerating the retrofitting programme and ensuring timelines are adhered to, this will result in significant business for local companies such as BHEL that have been affected by a lack of new orders for thermal power plants. The NCAP should be urgently notified under any relevant act like The Environment (Protection) Act 1986 or The Air (Prevention and Control of Pollution) Act 1981. Without this it is merely a guiding document. The experience of the GRAP (Graded Response Action Plan), CAP (Comprehensive Action Plan) for Delhi and Emission Standards for coal based power plants show that implementation is a key challenge. Unless NCAP has legal binding on both authorities and polluters, reducing pollution will remain a challenge. Crucially, the current ambition levels under NCAP (20-30% air pollution reduction by 2024) will not lead to breathable air quality in the country, as the pollution levels across much of the country are so high that even a 30% reduction will still leave levels above the NAAQS, not to mention the WHO standards. To achieve the air quality goals, much stronger sectoral policies and targets will be needed on the national and state level. Pollution across the country originates from the key sectors – industry and power plants, household fuels, waste burning, crop burning and transport – with variance in proportions. Further, much of the pollution levels in the identified non-attainment cities originates from outside the city limits. NCAP should be treated as a dynamic document that can be improved into a stronger instrument to achieve the dream of blue skies and clean air across India. There is an opportunity to convert the NPA crisis in the power sector while also positioning India as a leader in global clean energy development. According to the Report of the Standing Committee on Energy on Stressed/Non Performing Assets in the Electricity Sector, in March 2018, there were 40GW of power projects with outstanding debt of 174,000 crores. The problem of Non Performing Assets, stressed loans and stranded projects in the power sector are a result of bad planning and implementation, with a large number of coal power plants being given clearances without a thought to whether there was a need for so much coal power capacity in the economy. As a result, the plant load factor of operational plants has dropped from a high of around 75% in 2010 to a fleet average of around 60% today, with many plants in the private sector struggling for financial viability. Some completed projects are stranded for lack of PPAs due to power demand already being met. Many more under construction projects are stalled due to finances and do not have a likelihood of securing power offtake or signing PPAs or securing coal supply. There are about 47 GW of thermal power projects currently under construction. The CEA estimates that most of these power projects will be surplus to requirements, until at least 2022, even after assuming power demand growth. A recent report by Bank of America/Merrill Lynch estimates that 71GW of power plants, predominantly coal, are currently facing bankruptcy filings and USD 50 billion loans to the generation sector is stressed. This combination of problems (overcapacity in the coal sector leading to NPAs and stressed loans, new coal power proposals still in the construction pipeline and hazardous air pollution) are in fact linked and can be turned into an opportunity to garner huge publicity and support, both within the country and internationally. Central to this is a mechanism that will allow banks to minimize their cuts on bad loans to the power sector, permit project promoters to eventually recover some investment while casting the Indian government in a positive light as pushing forward a continued energy transition for India, away from new coal power, towards renewables. The project sites committed to coal power projects that are not financially viable, stalled/abandoned due to financial or other issues or have not secured PPAs due to unviable tariffs should be diverted to solar/wind energy, depending on site suitability. An assessment of each site’s clean energy potential would need to be performed under the guidance of MNRE and CEA that would guide more detailed planning on a site specific basis. State discoms will need to be brought on board to purchase the renewable energy generation via PPA at rates agreed as per normal process. Promoters and banks will need to agree to restructuring of the stressed loan, with the repayment to come from proceeds from renewable energy generation. Such a scheme would obviously necessitate an infusion of fresh capital. This could come from a rejuvenated Clean Energy Fund derived from the coal cess, as it will be used directly to promote clean energy in keeping with the fund’s original statement of purpose. Additionally, international finance could be sought via green bonds, World Bank/ADB or appropriate governments (example, Norwegian government’s commitment of $1billion to Indonesia and Brazil to halt deforestation) who would like to see India convert stranded coal assets into working renewable energy plants to mitigate climate change and deliver clean energy to all. Additionally, the CEA’s National Electricity Plan specifies the need for about 46GW of peaking power plants or energy storage for the time period 2022-2027. If these stranded coal plant locations can be converted to solar/wind projects clubbed with energy storage (at appropriately higher tariffs) this would serve the dual purpose of bringing initial investment into the energy storage sector to drive down costs and attract the interest of international battery manufacturers. The financing of this initiative should emphasize the scheme’s benefit to India’s environment, and the fact that India is showing global climate leadership to transition from polluting power source to clean energy, despite the relative inaction of most developed countries and the low historic responsibility that India bears for the climate crisis. Such a move will generate favourable publicity from key global influences in the world of politics and business, and serve India in good stead at future international negotiations. In order to stem the bleeding of existing coal projects operating at low PLFs, it is essential that no more coal power projects be permitted (other than those already under nearing completion). For this, MoEF&CC and other licensing authorities should be instructed to halt new permits, and a clear signal should be sent to developers and financial institutions that new coal projects are not required and any further investment in the sector will be a financial risk at this time. Our first Prime Minister, Pt. Jawaharlal Nehru once said, “Most things, except agriculture, can wait.” Unfortunately, farming is the most vulnerable and risky economic activity today. The socio-economic causes for the vulnerability are further aggravated with the changing erratic weather conditions. While soil health is a big concern, farmers are still forced to increase the use of chemical fertilizers every year in order to maintain the previous year’s production level. The chemicals subsequently lace both our food as well groundwater. Additionally, the pesticides are unable to control new and resistant pests. Groundwater tables are being continuously depleted, and erratic rainfall patterns & decreasing organic content in soil, has made groundwater recharge challenging. These factors have made agriculture a high investment economic activity. In a nutshell, our farmers are forced to invest hugely to grow, and consumers are paying hugely to buy food which is low on nutrition and high on chemical content. The situation is detrimental to the producers, consumers, and the state – beneficial only to agri-business houses. India adopted its first Organic Farming Policy back in 2005 with clear objectives to bring a shift from agro-chemical based industrialised agriculture to eco-friendly biomass residue based organic or ecological agriculture to mitigate the adverse impacts of Green Revolution. Unfortunately, the policy was sidelined and the country has spent crores of funds on chemical fertiliser subsidies while, comparatively, a very little amount was invested on mainstream organic farming practices. We recommend that India should aggressively phase out investing heavily on chemical fertiliser subsidies and use the funds to invest in construction of decentralised, farm-based, biomass conservation and quality enhancement infrastructures such as biogas plants, vermicomposting units, amritpani/jeevamrit tanks, cement-floored cattlesheds and agro-forestry. There are ample schemes to achieve the agricultural objectives in the country, while there is a huge need to increase the financial allocations to such schemes in order to achieve good results. Addressing the Soil Health will help in restoring 4 environmental boundaries such as Water, Air, Biodiversity and Soil. We recommend to adopt a National Living Soils Programme to rejuvenate the soil health. All those isolated individuals and community efforts which have achieved good results for soil health improvement and climate resilience should be identified, studied and widely replicated in suitable ecological regions as pilot projects. The key factors for such pilot projects should emphasize on 3Ms (organic Matter, Microorganisms and Moisture retention). Decentralised rainwater conservation and harvesting infrastructures such as lakes, ponds, shallow wells, check dams should be constructed on a priority basis in the agricultural and forest regions. There should be a programme to incentivise those farmers, farming communities and forest communities which have adopted water conservation practices and are not exploiting the groundwater and aquifers for agriculture. Soil organic carbon has huge potential of carbon sequestration and hence reducing the atmospheric carbon. It also increases climate resilience of the crops. There should be a dedicated national plan to promote and incentivise those agricultural practices which have very little or no carbon footprints and have potential for carbon sequestration. Local and traditional seeds are more adapted to the local environmental conditions and are more resistant to the pest and weed impacts. There should be a government programme to fund and incentivise community owned local/traditional seed banks. Genetically Modified seeds and other organisms are tools of destroying the seed sovereignty of the farmers and the nation. This is a potential threat to the seed, agrobiodiversity as well as the overall biodiversity, which is crucial for food safety and security of the country. Therefore it is utmost important to put a blanket moratorium on all the field trials and use of GM seeds in Agriculture. The last 40-50 years of expansion of Green Revolution technologies and practices have ruined the traditional knowledge co-creation systems and the self confidence of the farmers. Now, farmers are totally dependent on local agrochemical sellers and partially on the government extension staff. There is a dire need to re-establish the knowledge co-creation processes among the farmers. There should be Organic Farming Departments in all the government and private Agriculture Universities and Colleges where progressive organic farmers and practitioners should be appointed as permanent guest faculties. There should be a national programme to train the existing extension staff in organic farming.